"Oh, I wear this coat every day and I wear this fur every day, and I love this dress. I work in vintage." 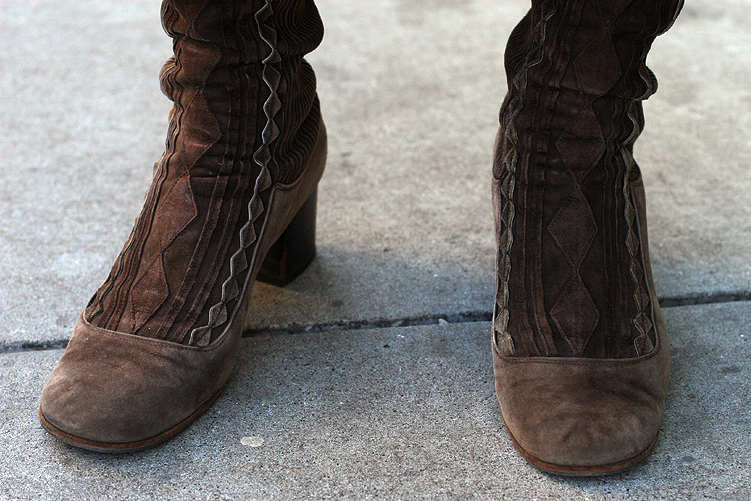 Her brown suede boots are lovely and amazing.